This story was originally published on August 8, 2013. Jackson Landers grew up in a vegetarian household. Now he hunts and butchers much of his own meat. In the past five years, he's focused on hunting and eating invasive species. In his book, Eating Aliens: One Man's Adventures Eating and Hunting Invasive Species, the 35-year-old Landers chronicles his travels around the country as he learns to hunt, butcher and eat various invasive species. More than 128,000 Giant African Land Snails have been found and eradicated in the two years since the highly destructive creatures invaded the Miami-Dade area, Florida Commissioner of Agriculture Adam H. Putnam says. While it's too soon to declare victory, "we are confident that we will win this fight," Putnam adds. 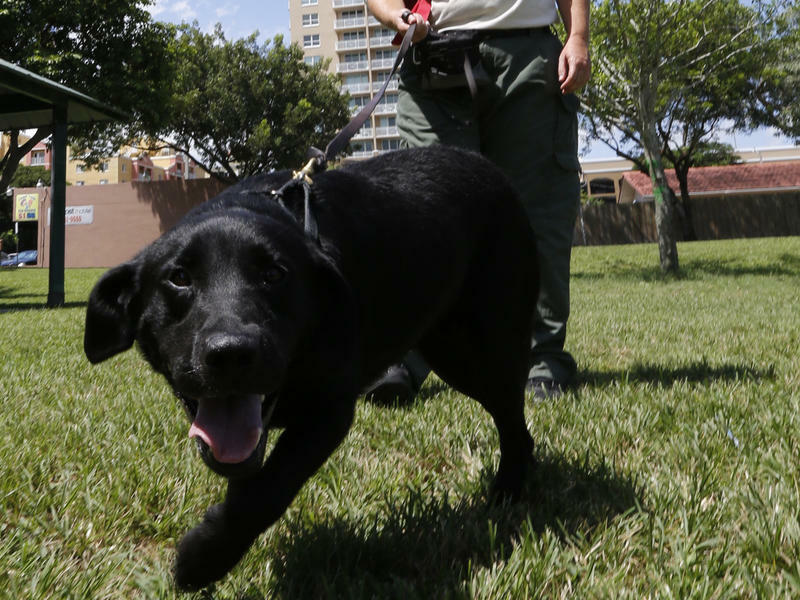 Part of the credit, officials say, should go to "canine detector teams" that are sniffing out snails in places that are tough for humans to search. Got Giant African Land Snails? Release The Hounds! In the ongoing assault on invasive giant African land snails, Florida is ready to release the hounds. The state will be adding snail-sniffing dogs to its team of 50 full-time snail hunters. Florida has a big problem with invasive species, and the idea of chowing down on the pests has been gaining in popularity. So far, there’s a cookbook dedicated to lionfish, an invasive species cooking contest and even an invasive species sampler tent at The Grassroots Festival on Virginia Key this past February. Unfortunately, that tactic, however appetizing, is probably not enough to outpace the invaders wreaking havoc on Florida’s ecosystem.